If you leave a mess at a job you might just end up getting yelled at; but fear not, for DeWALT has recently come out with a new wet/dry vacuum that is both corded and cordless and is small enough for you to take with you. 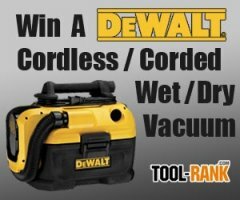 Thanks to the fine folks at DeWALT, we have the aforementioned DCV581H Vacuum as the prize for this month's Tool-Rank giveaway. 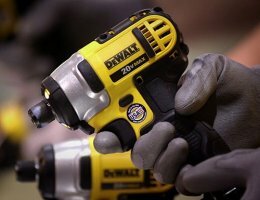 DeWalt has announced their first entry into oscillating tools with their corded 3.0-amp model DWE315K. 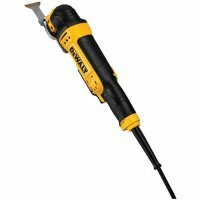 Some might DeWalt is late into the game, but others might say they have been taking their time to ensure they come out with the best product. The new DWE315K does seem to have some new features that are not being offered anywhere else. DeWalt has just announced that they will be bringing a line of four heated jackets to the market this September. 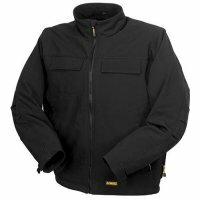 After the success of heated jackets from their competitor, they were sure to be getting requests from their users to offer a similar product. They would be fools not to deliver. We all need to use bit tips on the jobsite, and probably more than one type. 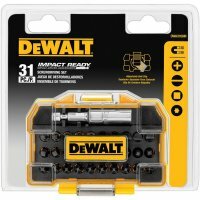 To make sure you are covered, DeWALT has come out with three new 31-piece bit sets that meet the needs of three different trade types. They also housed them in a new smaller Tough Case so you know they will stay organized even if they spend their days riding around in the back of a pickup. 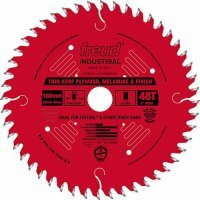 Freud has announced that they have come out with a new line of saw blades that they have specifically designed for use on Festool track saws. The new series is also the first and only anti-vibration designed saw blade for a Festool saw. If you need to drill or screw right up against something, sometimes a right angle attachment is the only way to do it. 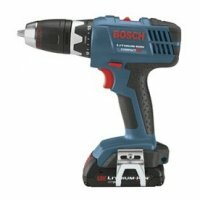 But if you are using your impact driver and a long screw, you need something that can hold up to all that torque. 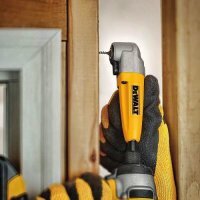 DeWALT's Impact Ready Right Angle Attachment might be your answer. 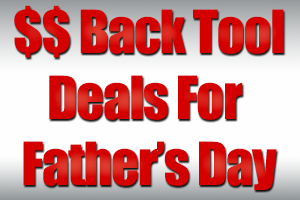 If you have been shopping around, looking at tools for Father's Day gifts, you might have noticed that there are some really good deals going on right now at Amazon. 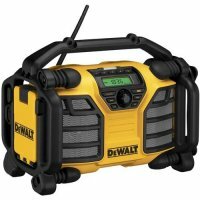 Usually you can find deals for only one brand at a time, but this time there are cash off deals from Bosch, DeWalt, Dremel, and more. Lowe’s is in a giving mood this Veterans day, offering some nice discounts on even more power tools and some accessories. It looks like these deals will expire tomorrow so you better act while you can. Don’t forget about the Lowe’s Black Friday and Christmas Days sales we posted last week. Thanks Vets for our Freedom and for giving retailers a reason to have sales.